Height x Width: 12 in. x 15 in. 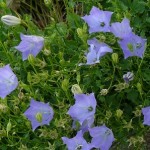 Harebells is a lovely little wildflower is a native to most of the U.S., including Idaho. 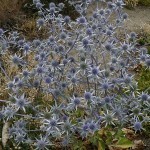 Its nodding blue flowers are held on wiry stems above attractive basal foliage. 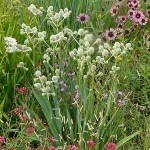 Great for borders, rock gardens. 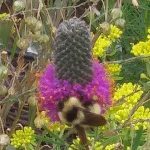 Pollinators: native bees. More info here. 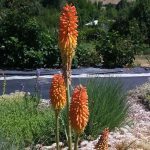 A striking accent in the xeric garden, Red Hot Poker is well named for it vivid orange and red bottle brush flowers. Lily-like leaves at the bottom are evergreen. This is a classic mid-sized Lavender. 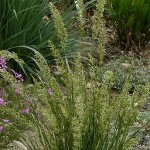 Spikes of fragrant lavender flowers in early summer. 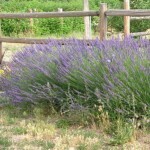 Lavender “Grosso” is a vigorous, large lavender with long, deep purple flower spikes in early to mid-summer. 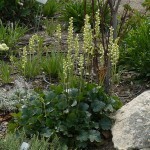 Extremely drought- tolerant, good foundation planting.Flower spikes may be cut back for repeat bloom. Evergreen foliage. 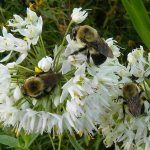 Pollinators: bees. 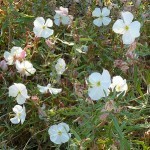 Native to: Central, Eastern U.S. 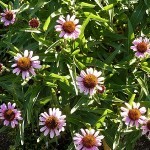 Attractive to many native insects, including butterflies, hummingbirds and more. 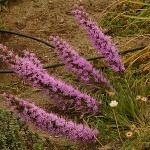 Rocky Mountain Blazing Star produces tall upright stalks of lavender/purple flowers that are premium butterfly attractors. 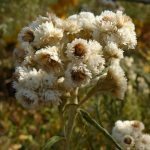 This prairie native is a robust grower and does best in fertile soils with infrequent but deep soakings. 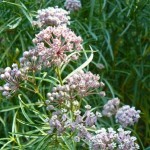 Nectar plant for Monarch and other butterflies. Excellent cut flower. 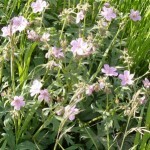 Dense spikes of lavender-pink flowers on tall, thick stems. 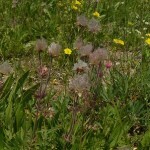 Great pollinator plant. 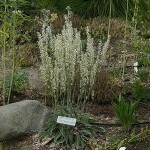 Prefers dry, sandy soil. Height x Width: 12-18 in. x 8-12 in. 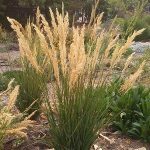 A showy plant for dry gardens or shortgrass meadows, Dotted Gayfeather produces lavender bottlebrushes that bloom from the top down. Deep tuberous taproots account for extreme drought tolerance and long life. Nectar plant for butterflies. Not currently available. Height x Width: 16 in. x 12-24 in. 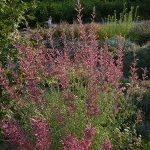 Dense Blazing Star: With showy spikes of pink flowers over grass-like foliage, this native prairie plant will add stunning variety, texture & beauty to your border or meadow. Excellent cut flower. Nectar plant for butterflies. 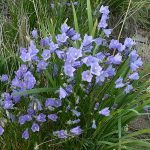 This dwarf, perennial statice produces a bouquet of airy, blue-lavender flowers in mid-summer. The flowers are lovely in dried arrangements. 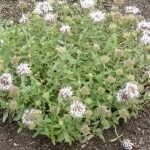 Mountain Beebalm or Little Beebalm or Coyote Mint has violet flowers in dense heads in mid-summer over compact clumps of deliciously pungent minty leaves. 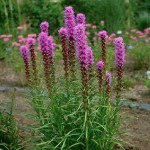 Great butterfly plant. Not currently available. 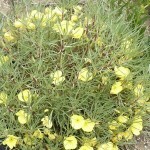 Fremont’s Evening Primrose gives a dazzling display of lemon-yellow flowers in mid-summer. 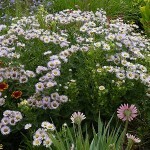 Blooms are tucked in and around the narrow gray- green foliage. Deeply tap-rooted and long-lived. Needs good drainage. Loose spikes of brilliant scarlet tubular flowers with distinctive ‘bearded’ lip. Tough and long-lived. Great hummingbird attractor. 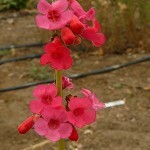 Height x Width: 16" x 12"
Stunningly beautiful red-pink flowers on long stalks. Not currently available. 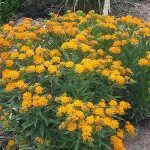 This huge xeric foundation plant provides a big splash of color in the heat of summer, when other plants have quit blooming. 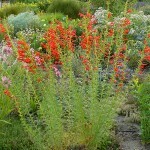 Great bee plant, deer resistant and long-lived. May be pruned back hard in the spring. 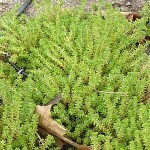 This unusual sedum, with tiny leaves packed on short stems, has a bristly appearance and contrasts nicely with other sedums. 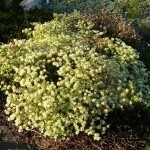 Great for rock gardens, edging, pathways. Evergreen.